Designing logo involves deep thinking processes and logo designers spend several hours on its designing as it is directly associated with the brand image of the company. They dig well beneath the surface to deliver a unique and attractive message. There are number of unique ways for logo creation with every customer having its unique requirement. With lot of creative ideas in mind, clients guidelines, years of experience, the one thing can always be useful for a designer is taking Inspiration. Here you will see a nice inspirational collection of 70 Colorful Logo Design Examples that represent the brand in a colorful manner. Wine labels are important sources of information for consumers since they tell the type and origin of the wine. The label is often the only resource a buyer has for evaluating the wine before purchasing it. Certain information is ordinarily included in the wine label, such as the country of origin, quality, type of wine, alcoholic degree, producer, bottler, or importer. Below you’ll find a collection of 55 Creative Wine Labels to inspire you. Good poster design mixes the abilities of condensing information, designing layout and printing the results. It is mind-eye-machine coordination. In this post I’ve collected 50 posters for your inspiration . Game Character Concept Arts - If the characters in a game have depth, complexity, consistency, mystery, humanity, and charm, then they are going to feel real to the player, and that helps the whole game world feel real, and allows the player to suspend his or her disbelief and get lost in the world. Everything the player does will be more exciting if they're doing it for someone, or with someone, or in opposition to someone who feels real. Simply put, good character design helps the player to have what we all know can be an amazing, unforgettable experience. So without a further ado, here is the list of some inspirational game character concept arts for you. Enjoy! Creative Illustrations In Logo Design - Logo design is the first order of business when setting up the identity of any organization. As such, a designer must make it a point to use whatever tools are current, while instilling a sense of balance at the same time. One of the most effective designs is using illustrations. In fact, a logo is an illustration, not just a play on fonts or text. Here are 40 Creative Illustrations In Logo Design that should help you come up with your own excellent logo ideas. Minimalist Photography - Minimalism is indeed the art of less. As a life philosophy, minimalists focus on a few essential elements of life and cast unnecessary things aside. In today`s showcase, we have collected some excellent examples of minimalist photography, where the focus is one one small key element and the rest of the composition is completely clutter free. You’ll be surprised at how powerful these images can be! Creative & Beautiful Web Design - Creativity needs a jumpstart at times. When you’re feeling creatively low, one of the best ways to get inspired is to admire and look at exceptional web designs. In this collection, you’ll discover some new web design inspirations to check out. Hilarious Digital Caricatures Of Famous People - A caricature is a portrait of a person that exaggerates certain features in order to express the essence of the person and still make the subject easily identifiable. Caricatures have probably influenced your opinions and viewpoints in ways you never even realized. If you have ever looked at an editorial caricature in a Sunday paper, and agreed with it, objected to it, or simply found it funny, then you have been influenced by this art form. Today, lets take a look at a collection of really awesome caricature art works done by very talented caricature artists. CSS Tools & Generators For Developer & Designer - Writing CSS codes from the scratch is really a tiresome and time-consuming task that can freak out a CSS coder. Now, here we are going to share some useful CSS tools that can help you to save your time and effort to a great extent. Digital Art Wallpapers - Everything around inspire us and help us develop our mind, feeding our imagination with these amazing designs. Let`s get inspired from this collection of amazing digital art wallpapers. Hope you`ll like this collection. 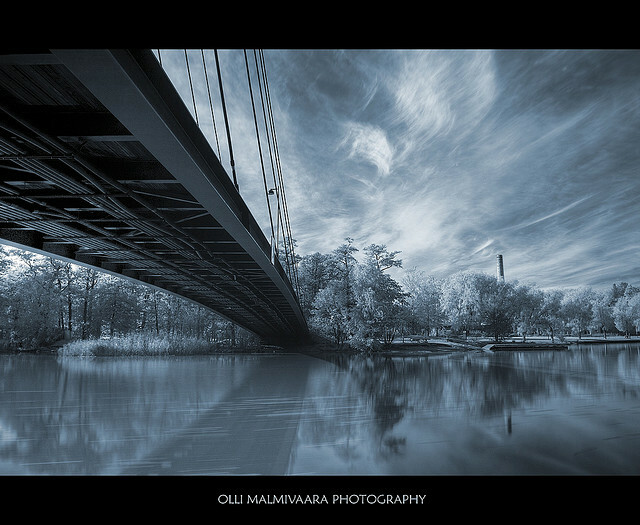 Digital Infrared Photography - Photography is also affectionately known as 'painting with light'. Basically, infrared photography involves painting a scene with infrared – or at least, far red – light that is not visible to the human eye. This quirky way of photographing a scene, person or object yields interesting results – one of the more popular one is the Wood Effect, where foliage glows brilliant white in your infrared photo due to the way they reflect infrared light. Here in this showcase, we presenting an amazing collection of Infrared Photography and all of these examples display the names of the photographers, along with links to their websites. Women Photo Manipulation - Here are 20 amazing examples of photo manipulated images from extremely talented Photoshop artists.